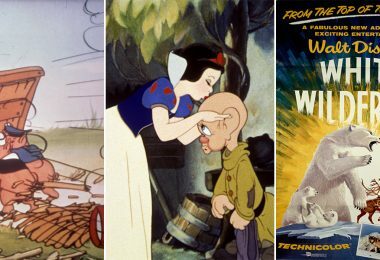 From his earliest years, Walt Disney aimed to expand his boundaries: physical, creative, and intellectual. 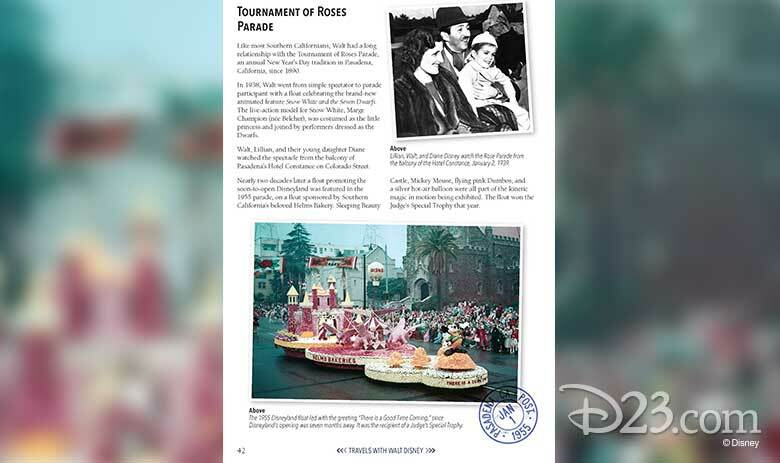 Throughout his life, Walt was a frequent and enthusiastic “tourist,” visiting destinations around the United States of America and across the globe. 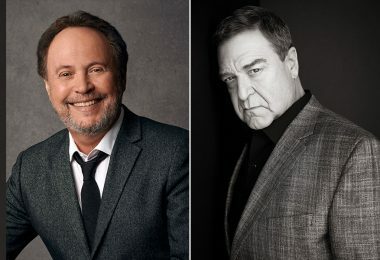 Whether attending a premiere, supervising a film production, or simply vacationing with his family, the “All-American” Walt became a citizen of the world. From Denmark to Argentina, England to Greece, Austria, Chile, Canada, France… all of them welcomed Walt as an emissary of his good name, good works, and good reputation. 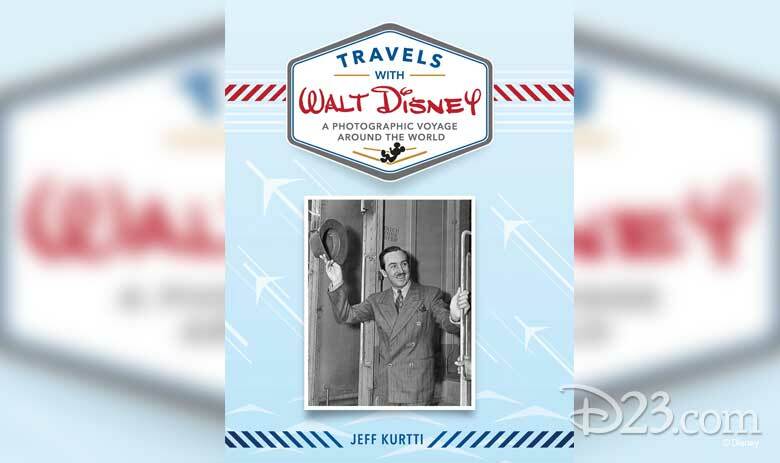 In the upcoming book Travels with Walt Disney: A Photographic Voyage Around the World, Disney author and historian Jeff Kurtti shares seldom-seen and never-before-published photographs, eyewitness recollections, and enlightening anecdotes from Walt’s lifetime. 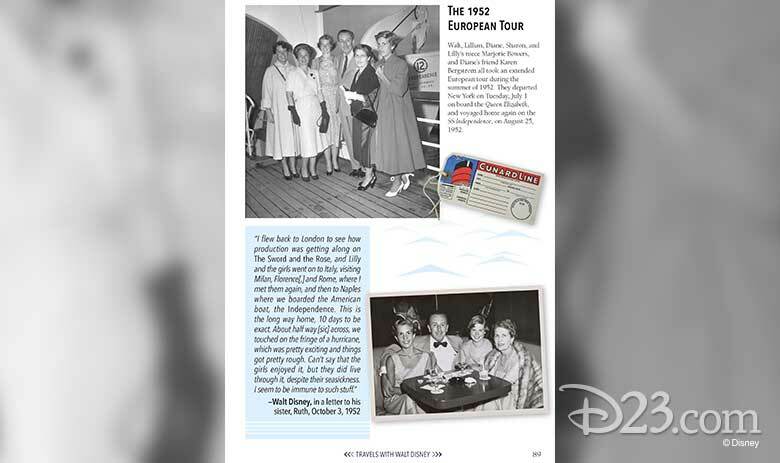 Flipping through the book was like finding a one-of-a-kind “travel journal,” almost as if Walt himself might have documented these exciting excursions in one special place. Disney fans will not want to miss adding this book to their collection. For your perusing pleasure, we were able to assemble a roundup of tantalizing documents and photos found in the book. In addition, we sat down with author Jeff Kurtti to learn all about his adventures in creating the book. 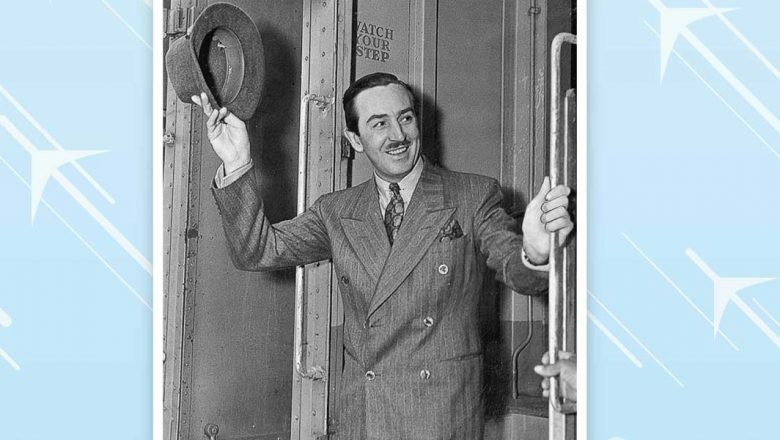 D23: How did you come up with the idea of a book like Travels with Walt Disney? 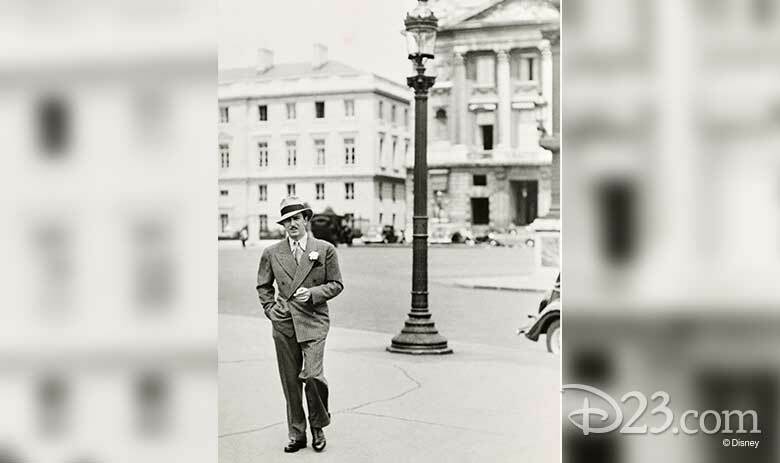 D23: In framing Walt’s life through his experiences as a world traveler, what perspective do you gain that is different from other Walt Disney biographies? 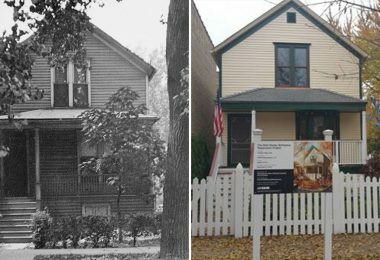 D23: The fact that Walt grew up in the American Midwest—and traveled back to it multiple times in his life—seems to be a big influence in how Walt viewed the larger world. Can you talk more about that? JK: There is a quote attributed to both Aristotle and Saint Francis Xavier (a founder of the Jesuit order): “Give me a child until he is seven and I will show you the man.” This is the mindset I take in thinking about Walt and his origins in the American Midwest and specifically in Marceline, Missouri. These experiences of youth informed almost everything he did subsequently, and his characteristic behaviors. His love of railroads (and not unrelatedly, rail history, transportation in general, and ideas about technology and “progress”), his appreciation of nature, his innate curiosity, his family relationships, his artistic origins, his love of American history—even the tiniest seeds of Disneyland—these can all be traced back to this period of Walt’s young life. D23: Many of your book chapters focus on a main mode of transportation that was prevalent in Walt’s life, such railroads, cruise liners, and airplanes. Why was it important for you to organize the book in this way? JK: In telling a story, whether fiction or nonfiction, a writer looks for the best method to communicate the story most strongly. 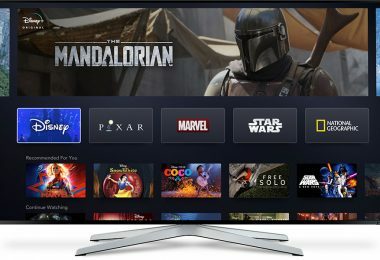 First, I consider who my audience will be, and in the case of Disney subjects, that can often be everyone. 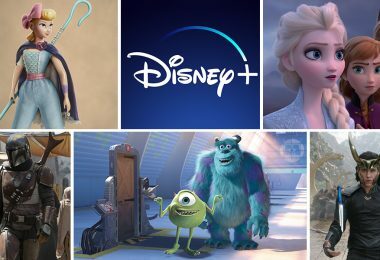 My task was to introduce ideas to people who are new to the subject, while remaining authoritative and credible to people who have every Disney book ever published lined up on their bookcase shelf. My intent was not scholarly, per se, but the content has to be informed and reliable, offer context and insight, and, in the end, be interesting and entertaining—thus creating a different type of scholarship. Having said that, I find typical storytelling structures somewhat dull, especially when dealing with historical or biographical works. Chronologies and procedural “and then I did this thing” stories tend to be listless as books. I have found that sort of data is easy to find in other locations. A chronological narrative about Walt’s travels had two problems—as a “read,” it was as dull as dishwater, and cried out for a connection to reveal things about Walt himself rather than just statistics. Since we were most interested in travel that contained either good visuals, or interesting anecdotes or insights, or both, as I began to review and organize the visual research and connect those visuals with the story elements, the notion of looking at Walt’s travels by either mode of transport or reason for his journeys seemed solid. It was a structure that created a good visual rhythm while offering the reader either a credible narrative through-line, or multiple points of random access—a book you can read, or pick up and open to any page and dive right in. 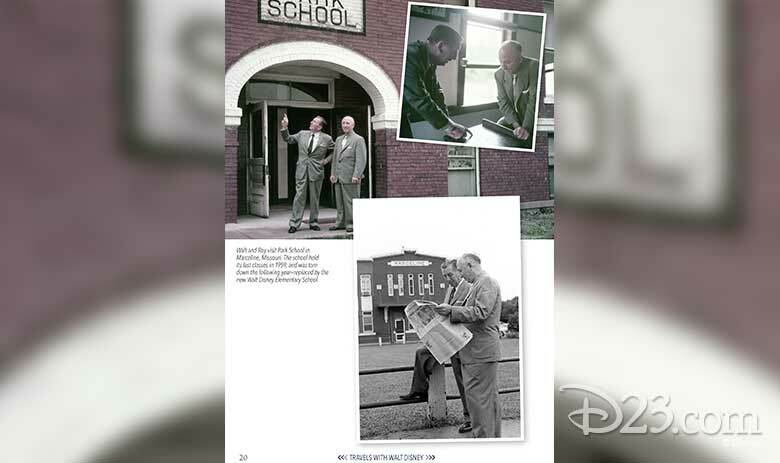 D23: What photos or documents were you most excited to find during your research on this book? 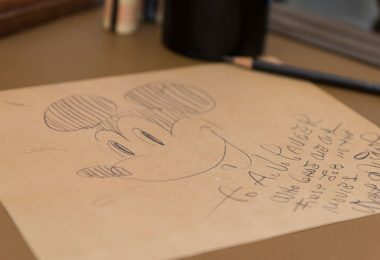 JK: Two critical elements were offered during my research, though: Walt Disney Archives Director Rebecca Cline offered me a document that she has been working on for ages, a dateline of Walt’s travels derived in great part from his personal Desk Diaries over three decades, including, wherever known, carriers, hotels, traveling companions, and reasons for the various trips. Michael Buckhoff in the Walt Disney Archives Photo Library was, as always, informed, helpful, and most of all very patient with my research. He and his team have been working diligently to organize and scan their gigantic photographic resource, so we were able to obtain brilliant new digital files of many images for the book, as well as new material from Sharon Disney Lund’s collection that is now in the collection of the Photo Library. D23: You dedicate the book to Diane Disney Miller. How come? JK: Perhaps the magnum opus of my life as a Disney fan and my career as a Disney historian was my work on The Walt Disney Family Museum. For many years, that put me in close and frequent contact with Diane, and working together with her not just to assemble data and collect artifacts, but to craft a true and balanced presentation of Walt’s entire persona, public and private, was both a once-in-a-lifetime experience, and the most compelling research on the subject one could wish for. I know that I helped Diane hone her critical thinking about her father and his career—she never really had to know him as anything but “dad” until she was an adult. In turn, she offered me an insight that was impossible before—to see him as she did, and to provide important information, context, and perspective about a very personal experience with Walt Disney. As I was crafting this book, I heard Diane “whisper in my ear” many a time. Reminding me of some small detail of interest, some favorite or thought-provoking image, adding in absentia to the collection of “stories to tell.” As I finished the book, dedicating it to her memory seemed like exactly the right thing to do. D23: Your story ends with a discussion of famed visitors from around the world traveling to Disneyland to meet Walt. Why did that appeal to you as a book ending? JK: Even with uniquely-structured narratives, I really like a story to have a “beginning, middle, and end.” It seemed almost natural to end with that iconic Disney project that was both a “culmination” of his career of showmanship, but also turned the story around, to conclude with the idea that after a lifetime of travel Walt created one of the most significant global destinations in modern history. The world now came to Walt. 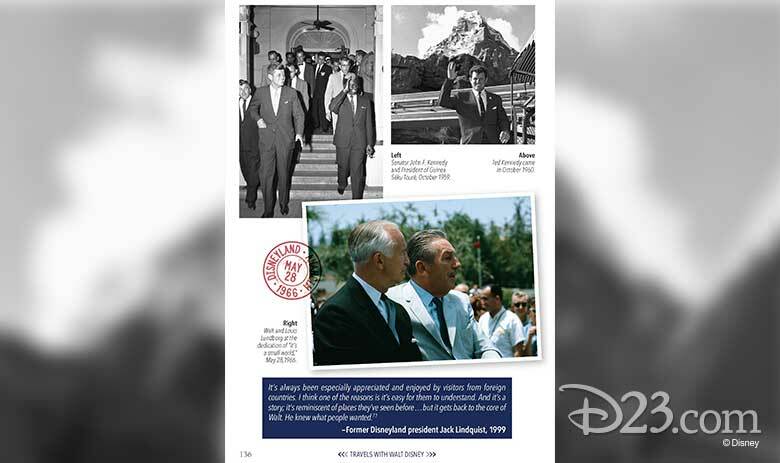 It also happened that Rebecca Cline and Mike Buckhoff had just done gorgeous new scans of scores of rarely seen images of Walt with famous international visitors in the Park, which they generously provided for the chapter, so it was really a convergence of idea and assets that resulted in an appropriate “finale” for our world tour with Walt. 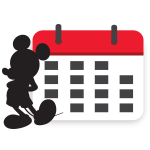 D23: If you were able to follow in Walt’s footsteps, is there a particular place you’d like to visit or a trip experience that you would want to recreate with your own family? 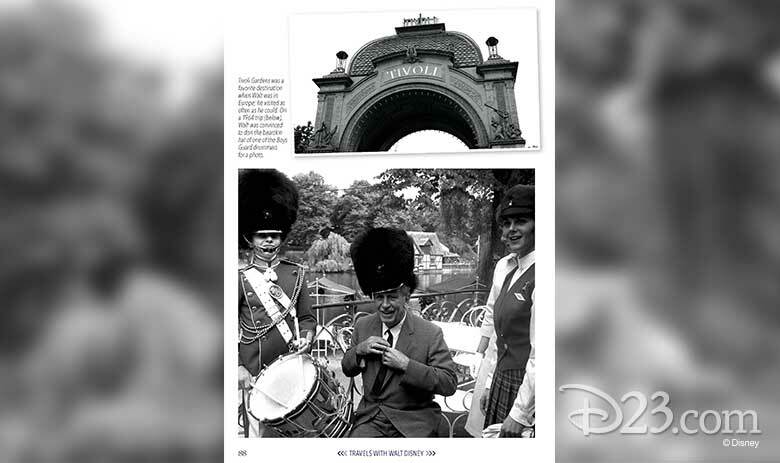 JK: Well, thanks to the very Disney Cruise on which this book was conceived, I have already taken my family to Copenhagen and Tivoli Gardens, and we loved it as Walt did, and can’t wait to go to Denmark again. I still have not been to Kansas City and Marceline, but I hope to correct that this Spring. 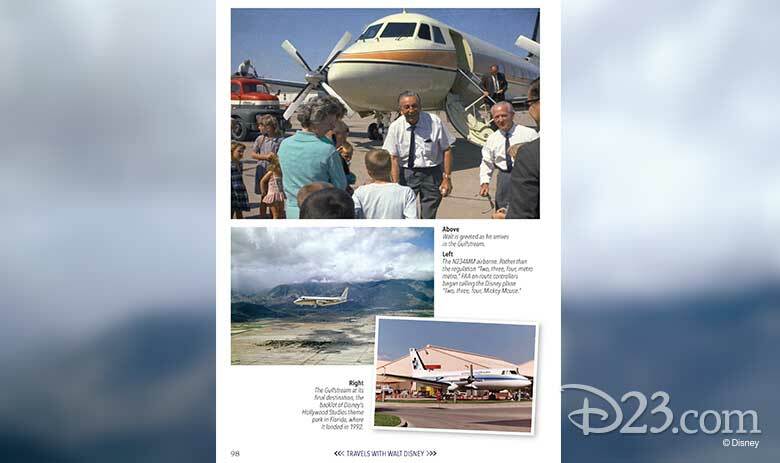 Many of the locales within the book are places I have already visited, in large part due to the 30 years I have spent with The Walt Disney Company. Without being facile, and without exaggeration, most of the world destinations I’ve been able to enjoy in my adult life have been due to Walt Disney, the organization he founded, and its commitment to his identity and legacy. Travels with Walt Disney: A Photographic Voyage Around the World, published by Disney Editions, releases April 2018. 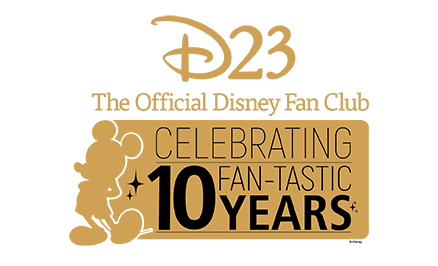 Do You Know All of Walt Disney’s Record-Breaking 32 Academy Awards®?